The South West Neurosurgery Centre is based at Derriford Hospital. 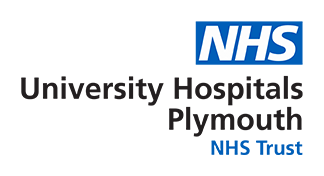 The Unit provides a comprehensive Neurosurgical Service to the adult population of Devon, Cornwall, the Isles of Scilly, and part of Somerset. Close links exist with the District General Hospitals situated in Truro, Barnstaple, Exeter and Torbay. The rapid transfer of patients between outlying hospitals and Plymouth is facilitated by two helicopter air ambulances. Patients benefit from 24/7 provision of tertiary emergency acute neurosurgical services. The Department has its own intensive care and high dependency areas (incorporated within the Intensive Care Unit). Nearly all aspects of Neurosurgery are dealt with and services include a stereotactic radiosurgery service. A shared Endocrine/Pituitary clinic is held six times a year at Royal Devon & Exeter Foundation Trust. Emergency Admissions: 24/7, 365 days a year with on-call cover provided by a Consultant Neurosurgeons and a Registrar presence. Elective Admissions: Patients are admitted to the Planned Investigation Unit or Moorgate Ward.